Inside the Selfridges department store in London – the menswear floor to be exact – sits a Land Rover Defender Works V8. The vehicle, the 70th edition of the ever-popular model, celebrates its maker’s 70th birthday. Yet, it also pays homage to the high-end retail chain and British tradition that is Selfridges, its logo emblazoned on the vehicle’s fabric hood. Recent visitors to the flagship store enjoyed watching the car’s assembly from kits of parts by Jaguar Land Rover technicians. And, other shoppers to come will relish the chance to sit in the beloved car retired almost three years ago. It’s perfect timing for both companies as consumers make plans for holiday shopping. But, it’s an especially smart move for the luxury automotive brand, which will begin selling a new Defender model next year. The development of the new Land Rover Defender has been fervently followed. And, Jaguar Land Rover has been stealth in its efforts. But, as the launch draws near, we can expect more transparency from the company. That’s because its brand marketers realize consumer engagement is critical to their success. One noted the opportunity experiential campaigns provide for intimate, open dialogue and positive brand experiences. These results are what make today’s best automotive marketing campaigns. Based on its experiential track record, there’s no doubt it’s how Jaguar Land Rover will breathe life into its new, yet iconic model to drive its sales. Before the release of the Range Rover Velar in summer 2017, Jaguar Land Rover launched an experiential campaign to introduce its new model to U.K. residents. To do so, it had a large 3D vinyl picture painted for transport to five events around the country. At each location, an actual Velar parked on top of it. Passersby stopped for the 3D image, and the car lured many of them to stay. It was those consumers who got their questions answered by brand ambassadors and took away a photo of the experience, with nearly 400 shared on social media. Plus, the campaign goal, measured in the number of leads generated, was exceeded. That’s why it should’ve come as no surprise when Autocar revealed “massive interest” in the Velar following its release. And, it’s worth noting only 20% of its sales can be attributed to Range Rover customers “trading up.” The “vast majority” were new to the brand – something auto brands must do today to stay in business. But, when automotive marketing campaigns are experiential, the goal is easier to reach. Edmunds 2018 annual loyalty report tells that consumers are loyal to a type of car. For 75%, that type is an SUV. But, it also mentions that “car buyer tastes are forever changing.” And, this threatens auto brand loyalty. Instead of sticking with what has worked, consumers now look for what best meets their needs at the time. And, that goes beyond the vehicle, though its specifics are still important. Now, factors such as corporate social responsibility also come into play. This means auto brands must show what they stand for and do it in a way that gets attention. As Jaguar Land Rover knows, experiential campaigns give brands the floor to have conversations and create emotional connections with consumers. It’s these venues that permit auto brands to distinguish themselves from competitors by sharing the details that matter most to consumers and creating a positive brand experience. They’re luring consumers to make them their choice of transportation. 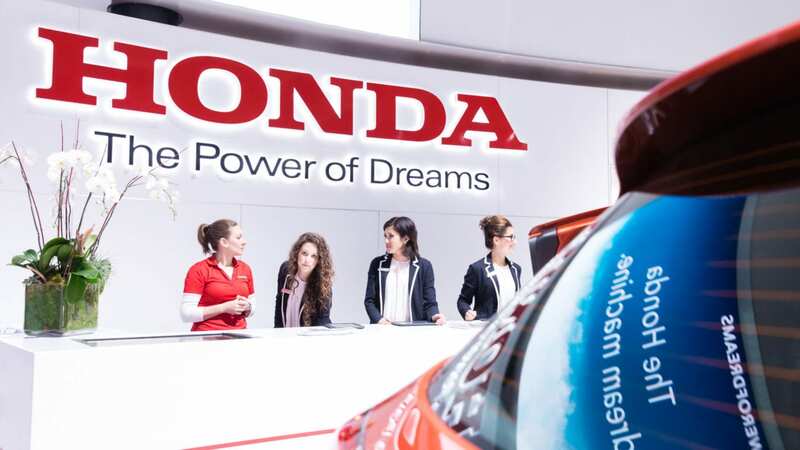 Staying in step with all the auto industry changes, these brands gave us great experiential automotive marketing campaigns in 2018 as they lured new buyers. Bring unexpected excitement and adventure, like Jeep. One key tenet of experiential is surprise and delight, which is exactly what Jeep accomplished during its recent Jeep Experience Tour in Southbank, London. The tour brought an element of urban adventure to consumers and showcased 3 new models from the brand’s line. The experience included an extreme parking challenge, test drives, virtual reality, and, to help attendees recoup from the excitement, complimentary facials and make-overs. As the staffing partner for the event, Elevate provided event staff of all types, from brand ambassadors to aestheticians to perform the facials. Not only did Jeep surprise and delight consumers, they elevated a typical day with a memorable experience that was fun and unexpected. The activation embodied the brand’s values and was successful in showing passersby why aligning with Jeep means that life can be an adventure. Let non-customers see what they’re missing out on, like Mercedes. For luxury car brand, Mercedes-Benz, the key to getting personal with its drivers at this summer’s U.S. Open was through exclusivity. The auto brand invited owners of its vehicles to enjoy the tennis matches from a lounge with outdoor seating and food and drinks. While other event attendees were able to take part in other aspects of Mercedes’ experiential campaign, the experience was not as posh. And, this was sure to have created FOMO among qualified potential consumers ready to take their seat in the brand’s VIP area. And, it demonstrated the brand’s service level and loyalty. Help them remember happy times, like Volkswagen. Just as we’ve watched nostalgia marketing work for brands across many segments, it’s doing the same for those in the auto industry. Volkswagen took attendees back to a different time at this year’s New York International Auto Show. In its expo space, visitors, according to EventMarketer, saw “oversized, framed family photos.” These were “reminiscent” of Polaroids. These nostalgic details take people back to their childhood and can stir up happy memories that are now tied to the auto brand known for its iconic VW Beetle. The move helps usher in a new generation of buyers to ensure the brand lives on. Your experiential campaigns need the right people to steer new buyers in your direction. Contact us and learn how our event staff, from product specialists to brand ambassadors and beyond, can execute your best automotive marketing campaigns.